When the New York Public Library first announced plans for an estimated $300 million overhaul of its flagship branch, the grand Beaux Arts-style building on Fifth Avenue, protests ensued from scholars, writers, and ordinary users who regard the institution as a sacred resource for research and learning. 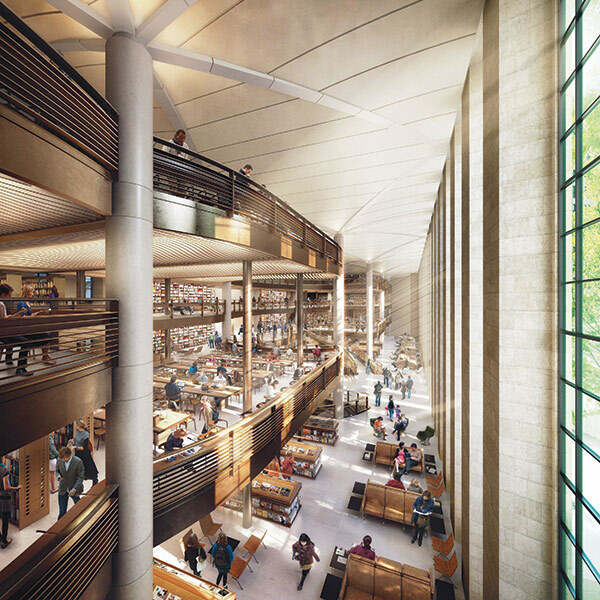 In December, Foster + Partners revealed the designs for this controversial renovation, which would re-locate millions of books and open up to the public a section of the library previously occupied by stacks. The plan calls for a merger of the Mid-Manhattan Library and the Innovative Science, Industry, and Business Library (on Madison at 34th Street) into the renovated flagship building on 42nd Street. As part of the process, NYPL will transfer approximately 3 million books to a humidity-controlled chamber beneath Bryant Park, then send the remaining 1.2 million books to an off-site location in New Jersey. 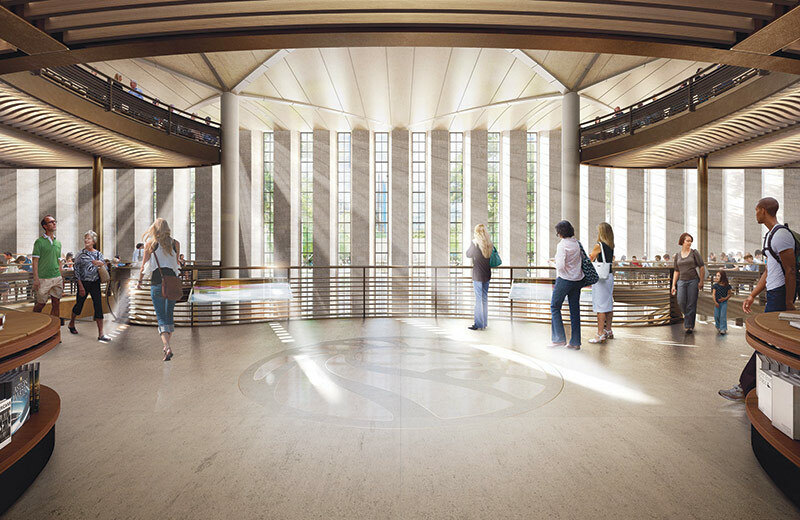 The designs unveiled by Foster + Partners will remove seven floors of stacks under the grand Rose Main Reading Room to make way for a workspace with an expansive atrium, vaulted ceiling, balconies, bookshelves, and new areas devoted to classrooms and computer labs. Without the stacks, the floor-to-ceiling windows will let in light to the space and provide views of Bryant Park. As of now, interior finishes will include a combination of bronze, wood, and stone. Even with strong opposition to the renovation, the New York Public Library is forging ahead with it plans and making progress. In January, The Landmarks Preservation Commission approved the library’s application for changes to its Beaux-Arts exterior, mostly on the side facing Bryant Park, in a six-to-two vote. New York Public Library and Foster + Partners are choosing their words carefully as they try to alleviate concerns about the changes and reassure critics that the renovation will honor and maintain the mission of the library and respect the historic structure of the flagship branch.